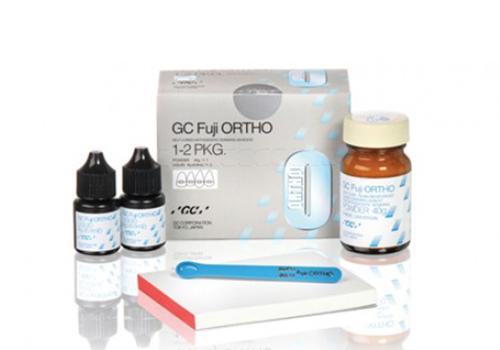 Fuji ORTHO is a self-cured, resin reinforced glass ionomer cement ideally suited for bonding orthodontic brackets and bands. Its placement in a wet field simplifies application and bonding procedures. It can be used with a non-etch or etch technique. Because itʼs a true glass ionomer cement, it helps to protect against decalcification and decay. Fuji ORTHO effectively supports brackets, bands and wires for the duration of the orthodontic treatment and removes easily at case completion. Bonding metal brackets and attachments. Band cementation only when extra band retention is desired.